Your resource for all things shoegaze and dream pop: ALBUM REVIEW: Heaven | All Love is Blue. Reviewed by Jack Beltane. 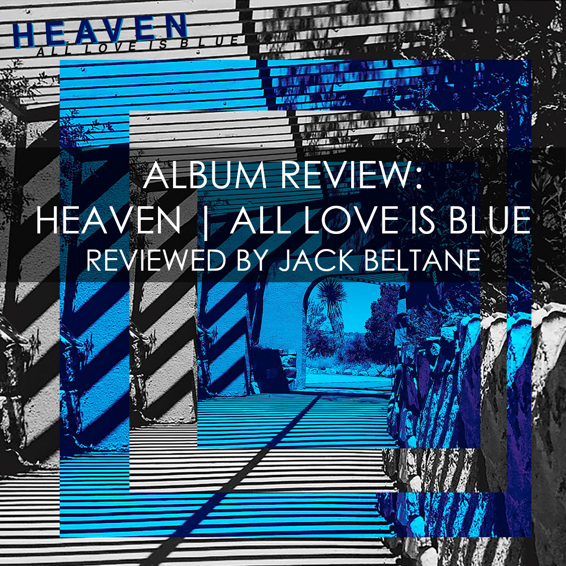 ALBUM REVIEW: Heaven | All Love is Blue. Reviewed by Jack Beltane. The thickness of great music can never be underestimated: the strongest tunes submerge you in a silken pool of sound and seduce you with the weight of it. On All Love Is Blue, Brooklyn three-piece Heaven hefts the full measure of great songs. The album weaves hypnotic tracks that are crafted from a depth of sound winnowed to a sharp edge, honed from rippling guitars and a fuzzed-out wall of rhythm. Made up of Matt Sumrow (vocals and guitar), Mikey Jones (drums) and Lizzah Lohse (keyboards and vocals), Heaven surfaced in the wake of Sumrow and Jones working with artists such as Swervedriver, Ambulance LTD, and The Big Sleep. Jones and Sumrow formed Heaven as a duo in 2010 and released Telepathic Love in 2013. Five years later they've added Lohse and perfected their sound, creating All Love Is Blue, their sophomore release, on Little Cloud Records. All Love Is Blue mines the mental landscape of the downtime between clubs -- those stolen moments of anticipatory calm while waiting for a bus or sitting on the subway, lost in the warmth of urban nights and the promise of adventure. From the liquid ease of the title track to the staccato timing of "Darken Fields," the album leads you into the spiraling echoes of the start-stop pace of a city that never sleeps because it takes all night to see everything. This is full, reflective music: block the noise, close your eyes, and vanish as the shoegaze vocals drift beneath psych guitars and an undulating bed of keyboards. All Love Is Blue is an atmospheric album about coming down before you go back up: it reminds you that life is lived by us, in our cities and our dreams. 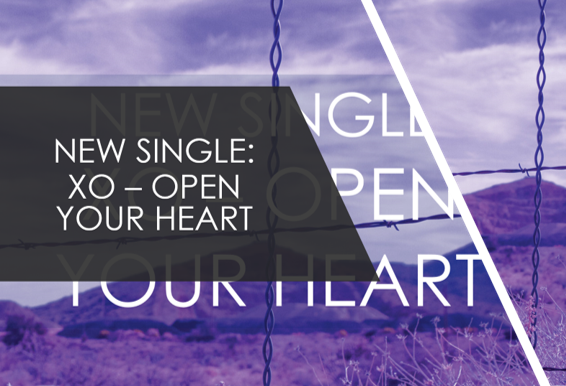 “There's a hole in the mirror”, Sumrow sings on "The Sun Shines Through In The Evening," showing us that All Love Is Blue isn't a reflection of the artists but a window for you: it's reflective because it reminds you of your world and it reminds you there's still more to see. “Never The Moment” and Boo Radleys cover “Firesky” bookend the album: a driving overture with guitar work that slices into you, and a dark rocker to wake you up and remind you that the night isn't over yet. 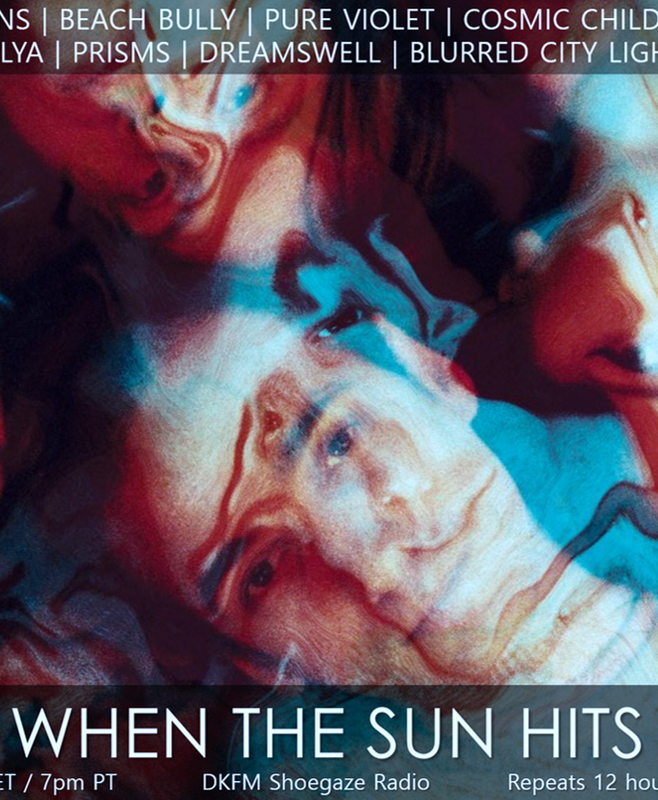 If Oasis had a soul and Mazzy Star had an urban background, you'd get close to Heaven. Thanks to Sumrow, Jones, and Lohse, you're already there. WTSH #123 is now streaming on Mixcloud! WTSH #125 is now streaming on Mixcloud!